Bollywood celebrities like Amitabh Bachchan, Shatrughan Sinha and Akshay Kumar on Friday congratulated Indian athlete Hima Das who created history by winning gold in the women’s 400 metre event at the IAAF World U20 in Finland. 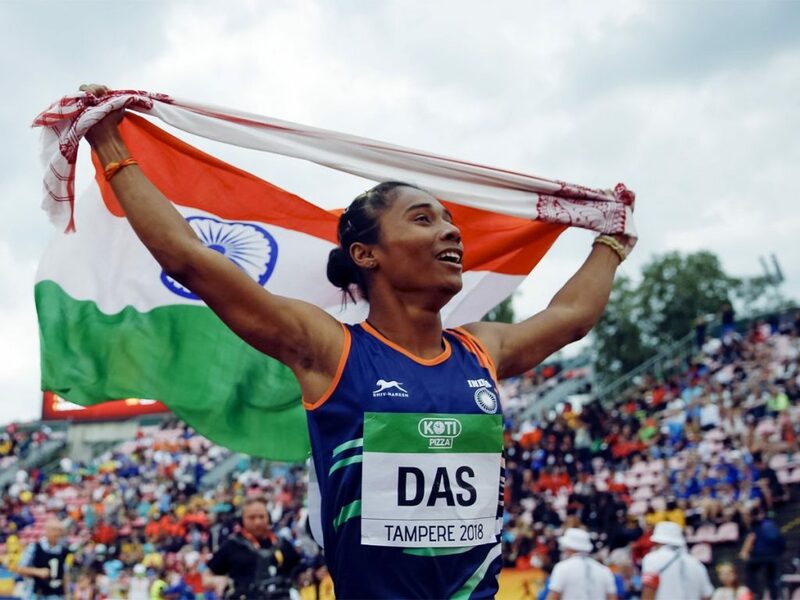 Held at Tampere, Hima on Thursday registered a time of 51.46 seconds in the final at the Ratina Stadium to become the first Indian athlete to win gold in a world championship across all age groups. She also did well in the earlier rounds, winning Heat 4 with a time of 52.25 seconds. She emerged on top in the semi-finals as well, winning her race in 52.10 seconds. Amitabh Bachchan: Congratulation. Hima Das, the first Indian women to win a gold in world athletic track event ever! India is proud of you. You have given us reason to hold up our heads high! Jai Hind! Shatrugan Sinha: Yet another brilliant performance from India’s daughter… Kudos to India’s Hima Das who made history by becoming our first track athlete to become a world champion at any level after winning the women’s 400m at the U-20 World Championships in Tampere, Finland, on Thursday. Hima Das. Akshay Kumar: Historic! Congratulations Hima Das for winning India’s first gold at a global track event in Under – 20 World Athletics. Nicely done. Farhan Akhtar: Congratulations Hima Das. 400 metre winner in world Under-20 championships. Proud moment. It is amazing that it coincides with the five year anniversary of ‘Bhaag Milkha Bhaag’ and Milkhaji’s biggest dream was to witness an Indian athlete win gold in track and field.